Powerful Improvisation Techniques & Strategies...Made Simple! GET READY TO SOLO LIKE NEVER BEFORE WITH IMPROVISATION BOOTCAMP (EXPANDED EDITION)! In this special expanded edition of my popular 'Members Only' Improvisation Bootcamp series I 'blow the lid off' some of the biggest mysteries surrounding improvisation and what it takes to become a great improviser. Every episode of Improvisation Bootcamp shows you 100% actionable tips and strategies for exploring and nailing some of the most crucial elements that go into making up an awesome improvising style! 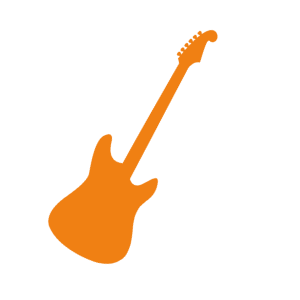 Sign Up for a Monthly or Annual Pass and Access Improvisation Bootcamp Plus Everything Else in Total Guitar Lab! How is Improvisation Bootcamp delivered? Improvisation Bootcamp uses a mixture of short video lessons, audio downloads, backing tracks and PDF downloads. Everything is fully explained and demonstrated in simple 'BS free' language (no confusing jargon!) and close up video shots. Is there TAB available for the lessons? Yes. Each module comes with a professionally transcribed and fully downloadable PDF workbook featuring all the examples in TAB and notation including my improvised solos. The workbook also contains the 'homework' for each lesson! Using these short practice routines will help you learn and be able to use everything in the module much more easily. Isn't this the same course I've seen on your jamesshipwayguitar.com website for free? Yes! I originally made Improvisation Bootcamp as a free series for my email subscribers. There's a good chance you've seen some of these lessons before in fact. But Improvisation Bootcamp was so popular that I decided to do an expanded version of it featuring all the lesson resources (TAB, backing tracks, practice routines etc) plus some extra lessons! These extras are not available on my website...only inside Total Guitar Lab. PLUS remember by joining Improvisation Bootcamp you also get instant access to all the other awesome courses inside Total Guitar Lab ! Are You Ready To Level Up Your Status as an Improviser? If you are ready to start taking the steps to becoming a better improviser then I invite you to join the expanded Improvisation Bootcamp program now and get started on your journey right away! What's included in Improvisation Bootcamp? LESSON 3 - CALL AND RESPONSE: THE MOST POWERFUL SOLOING TOOL EVER? LESSON 5 - HOW TO MAKE YOUR SOLOS GROOVE LIKE A PRO! Get Access to Improvisation Bootcamp and Everything Else in Total Guitar Lab with a Monthly or Annual Pass!